Pushing the mobile needle with Pascal. 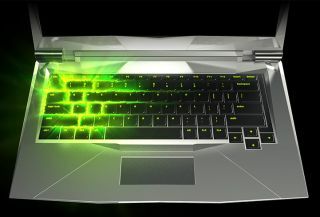 Nvidia has an updated set of Game Ready drivers available that both add support for its new GeForce GTX 10 series GPUs for laptops and contain optimizations for a handful of titles. If you've managed to get your lucky mitts on a laptop with Pascal inside at this early stage, you'll want to install the 372.54 WHQL driver package right away (assuming it's not pre-installed). The same goes for anyone playing No Man's Sky, Deus Ex: Mankind Divided, Obduction, F1 2016, and the open beta for Paragon. Nvidia squeezed in optimizations for each one. There are numerous fixed issues in the latest driver release as well. If you've been experiencing crashes in Call of Duty: Black Ops III with an illegal instruction error, the 372.54 driver should alleviate that. It also resolves an issue that was causing the Netflix Windows Store app to stutter in full-screen mode. You can check out the release notes here (PDF) and download the new driver here.